In an attempt to broaden my skills, I shot an environmental portrait using light painting techniques. In doing so, I shot the tractor with traditional light painting techniques, illuminating with a flashlight. 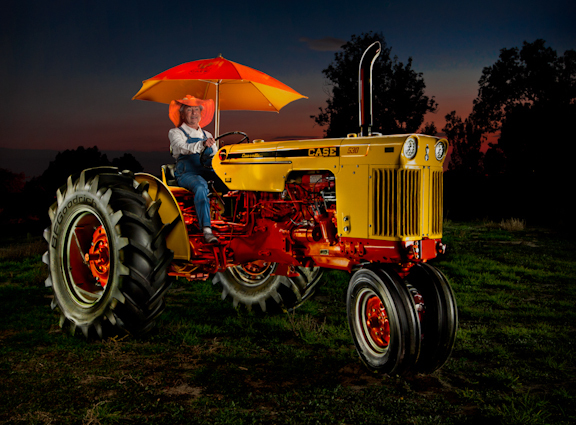 Then Sally got on her tractor and I popped a couple frames illuminating with a speedlight. In Photoshop I then blended all frames together. The tractor is a 1956 Case which has been fully restored. Sally belongs to a tractor club and displays her tractor at fairs, farm festivals, and parades.